Our second project, "The Poet Tree" was originally located on Liverpool Street before it was moved to 574 Colombo Street inside the Japanese restaurant, Samurai Bowl. An untitled poem by Matsuo Basho which was rendered in calligraphy by Toyoko Takane was displayed on the wall and there was a seat underneath for passers by to pause for reflection. 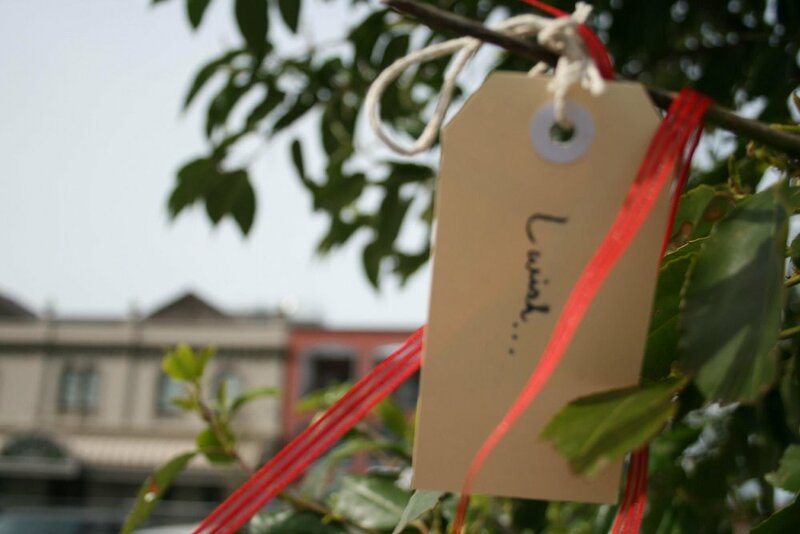 The Poet Tree itself was a place for people to leave their thoughts and wishes written on tags and tied to the tree nearby. Special thanks to: Toyoko Takane, Eliot for moving the heavy bricks and the on-the-spot design, Samurai Bowl Restaurant, and all those who participated in the project.